On a hot summer day, few things are more uplifting than the cool, crisp, refreshing feel of an air-conditioned home. Unfortunately, air conditioner failures tend to occur at the worst possible moment, rendering you powerless against the merciless heat penetrating your living space. 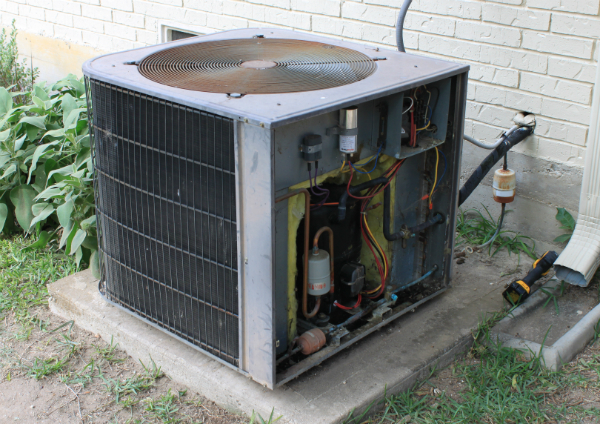 Through regular maintenance of your air conditioning unit, you can ensure your air conditioner will function flawlessly throughout the duration of its life. But if your unit fails, for priority service or emergencies, call Jackson Hardware Heating and Air Conditioning at (262) 677-3477. We are available 24/7. The first sign of a poorly performing air conditioning unit is often a steep rise in energy bills. What typically follows, is the inability to adjust temperatures; instead having to operate the cooling system at full power, only to achieve a moderate amount of relief from the heat. When you are in need of air conditioner repair or services, partner with the team at Jackson Hardware Heating & Air Conditioning – the leader in air conditioning installation and repair throughout Jackson and surrounding areas. Established nearly a century ago, at Jackson Hardware Heating and Air Conditioning, we continue to employ only experienced technicians who are highly trained and certified in Lennox products. Lennox air conditioners maintain perfect indoor temperatures at all times and utilize only the minimum amount of energy required. We perform expert repair services on wide range of leading brands and have access to some of the industry’s best cooling solutions for your home. We take pride in offering sophisticated technologies that combine maximum power with minimum noise, creating an all-encompassing comfortable environment for you and your family. 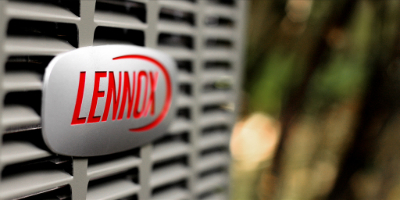 If your air conditioning unit has reached the end of its life, Lennox offers cooling solutions for a wide range of needs and budgets. We won’t steer you toward the most expensive, over engineered piece of equipment on the market. Instead, we take the time to understand your requirements and budget, and help you make an educated decision so you make the right choice for your family. Our technicians explain what they are going to do in terms you can understand and keep you informed throughout the entire air conditioning repair or installation. Our quotes are clear and transparent. Unlike most HVAC companies, we clearly state what we will do and not do, rather than providing you with a general installation quote leaving you guessing. If it’s not yet time for an air conditioner replacement, our dedicated team will repair your air conditioning unit to full working order as quickly as possible so you can move on with your day. Our motto is to be transparent and honest with customers - we never artificially inflate time and often leave the work site cleaner than when we arrived. Save money by hiring an HVAC contractor who charges by hour, rather than a “flat rate book price”. Don’t settle for discomfort in your own home. Your air conditioner should provide you with the comfort you deserve. As the top specialist of air conditioners in Jackson, Grafton, Cedarburg, Mequon, West Bend and all of Washington and Ozaukee counties, we welcome you to call us today at (262) 677-3477 to discuss your home cooling needs. Don’t forget, for priority service or emergencies, call Jackson Hardware Heating and Air Conditioning at (262) 677-3477. We are available 24 hours a day, 7 days a week with a real person who will answer the phone no matter what time you call!